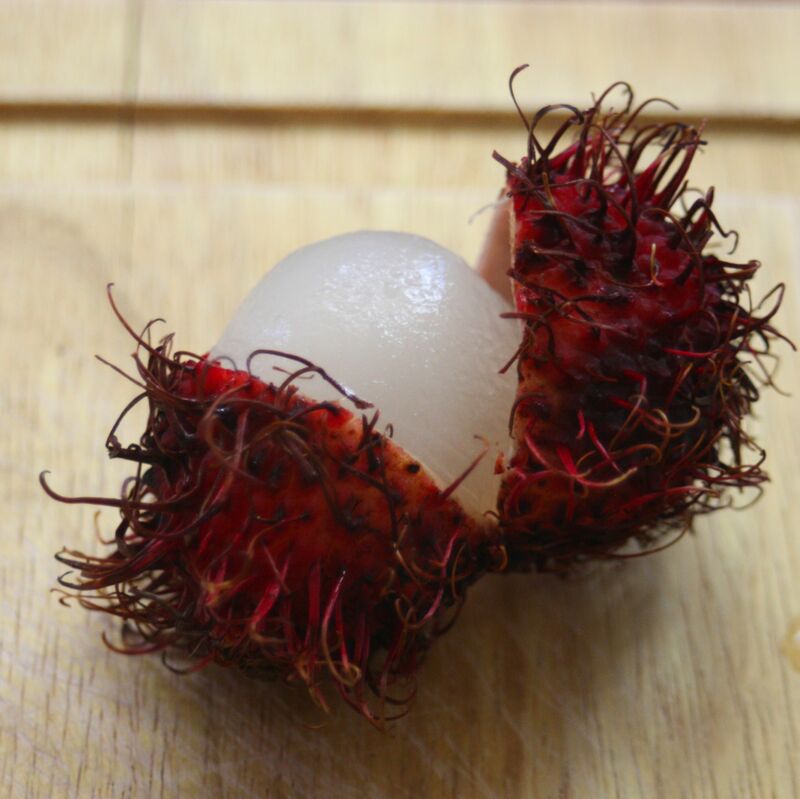 The first time you see a rambutan you are sure to think, “How do you eat THAT?!?”. 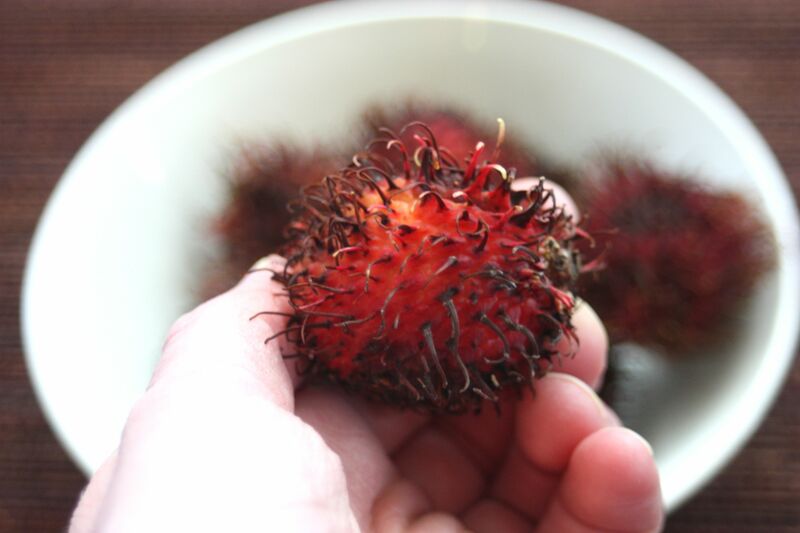 The fruit is covered in a hairy peel that seems uninviting. 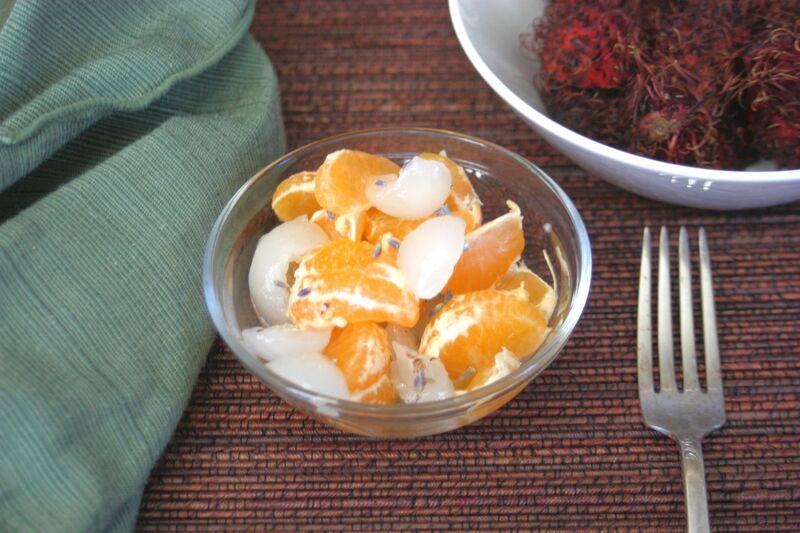 If you simply scour the peel around the middle you reveal the white flesh in side. 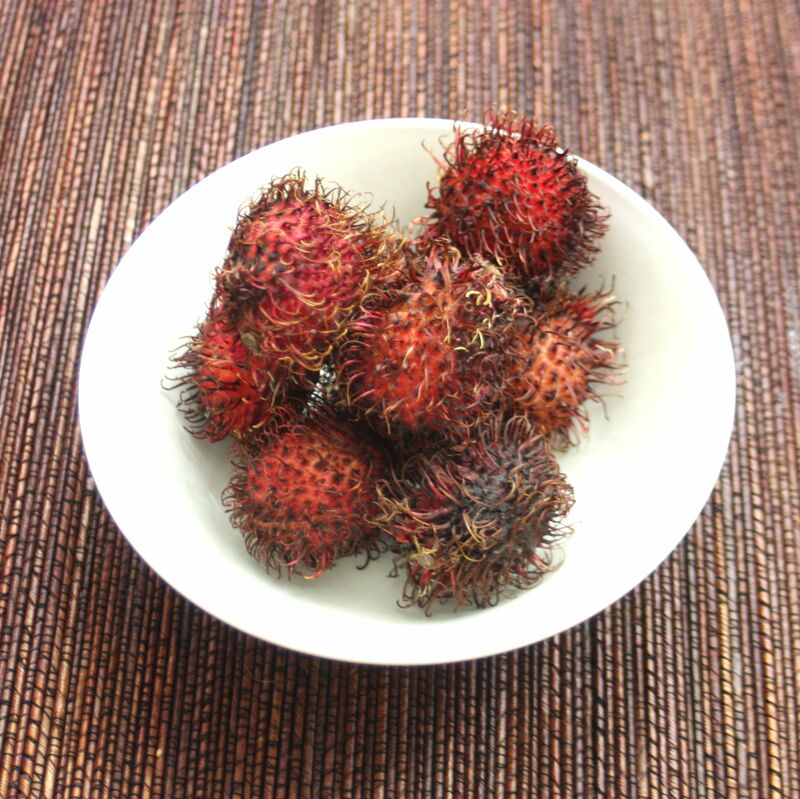 Many people enjoy them as is and just chew on the fruit, eating around the center seed. The mild tasting fruit is similar to a grape with a more floral undertone. As I chopped up the fruit my daughter ate it almost as fast as I could get the flesh off the seed, which means I was left with only enough rambutans to make a one-serving dish. 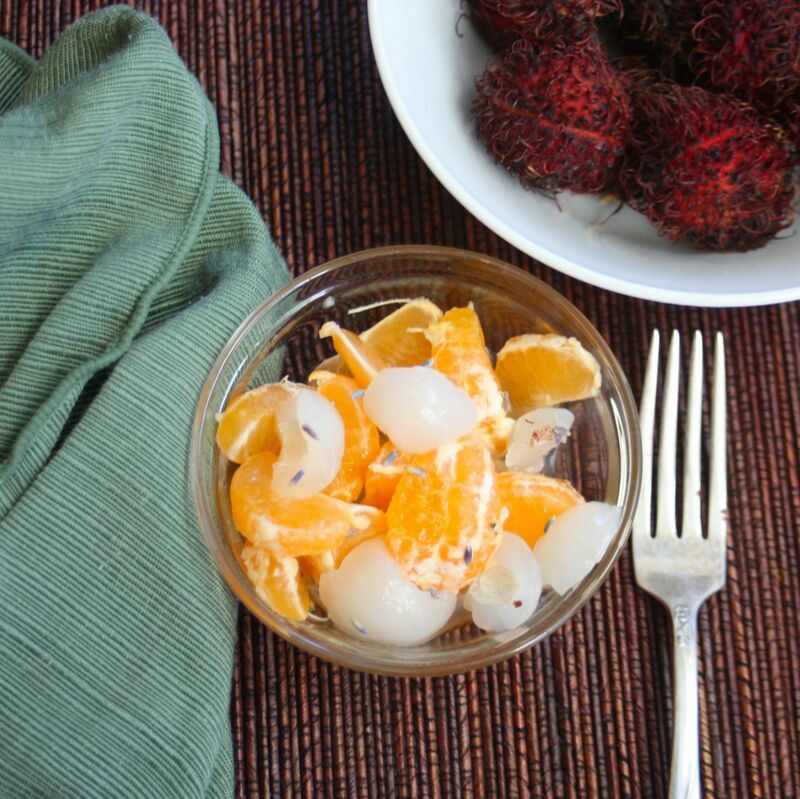 I stirred together the rambutans and a few tangerine, then drizzled a bit of sweetened lime juice and lavender over the fruit for a simple yet deliciously exotic fruit salad. My daughter nearly ate all of the fruit salad too, leaving just a few bites for the cook. 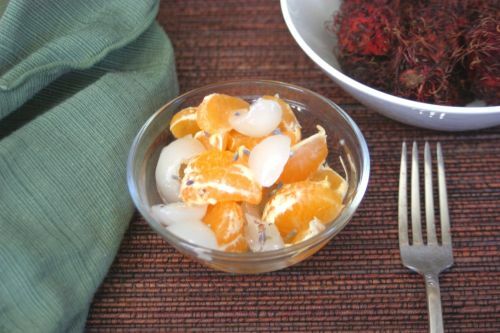 In a small bowl, stir together the rambutans and tangerines, top with lime juice and sprinkle a few lavender buds over the fruit. Stir together and enjoy – makes one serving.